MOVE! is a weight management health promotion program designed to improve the lives of Veterans. In 2018 more than three quarters of Veterans receiving care in VHA facilities were considered to be overweight or obese. 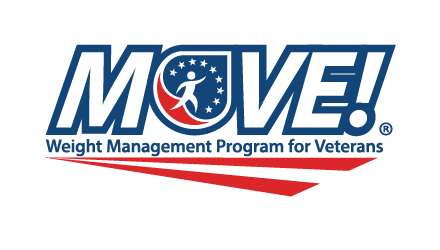 Our goals are to annually screen every Veteran for obesity, refer interested individuals to weight management services, and make available different treatment options that fit the needs and preferences of our Veterans. Visit the MOVE! website to learn more.